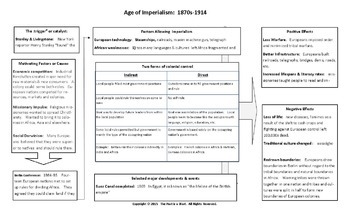 This 11 x 17 graphic organizer of the Age of Imperialism goes beyond a typical graphic organizer allows the space for students to really see the entire age of Imperialism on one large page. 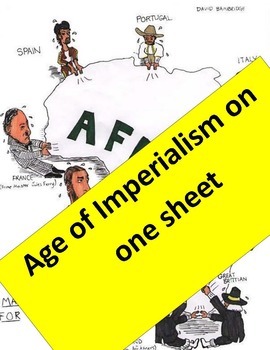 A blank organizer, a completed organizer, a sheet of open ended question and answer key and an Imperialism map activity is included. 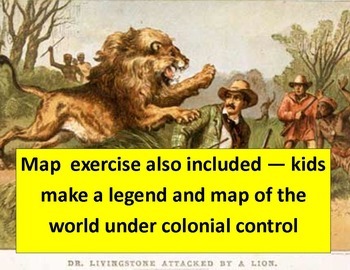 I've attached both a PDF and a Microsoft Publisher version of the maps and the questions are in Microsoft Word..
Background causes: Stanley & Livingstone, nationalism, missionary impulse, economic competition & the Berlin Conference. 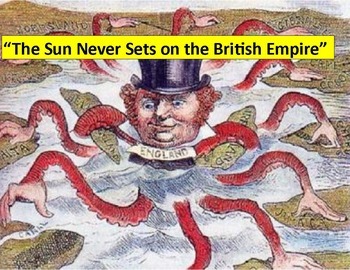 Imperialism: Factors allowing imperialism to take place such as European technology and divisiveness in Africa, Direct & indirect control in a table, major events such as construction of the Suez Canal, French control of Vietnam and the US in the Philippines and Hawaii. Effects are broken down into positive and negative effects.